When it comes to online advertising, the tried and true method has always been text and image display advertising – think Google Adwords text and banner ads. But the web is evolving and so are the ads that display throughout the content network. With faster broadband internet connections, not only are people able to surf the web faster, but advertisers are able to leverage higher scales of bandwidth to deliver rich media ads. What are rich media ads? Rich media ads are ads that maneuver, or elements move and shift in response to the action the visitor takes. So basically elements within the ad are moving and dynamic, and alot of the times reacting to the audience cues. 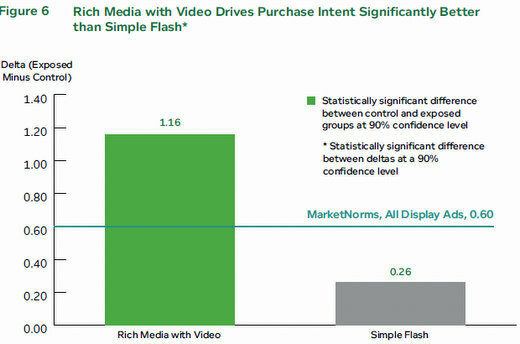 Perhaps one good reason to consider rich media ads for your business is they are proving to push higher purchase is because they push a higher intent to purchase. Read more about rich media ads here.